Description:Of course by “bring us” we mean metaphorically, in card form. It need not be figgy pudding as such … ANY type of holiday food (or beverage) will do … as long as it's festive food (or drink) stuffs. 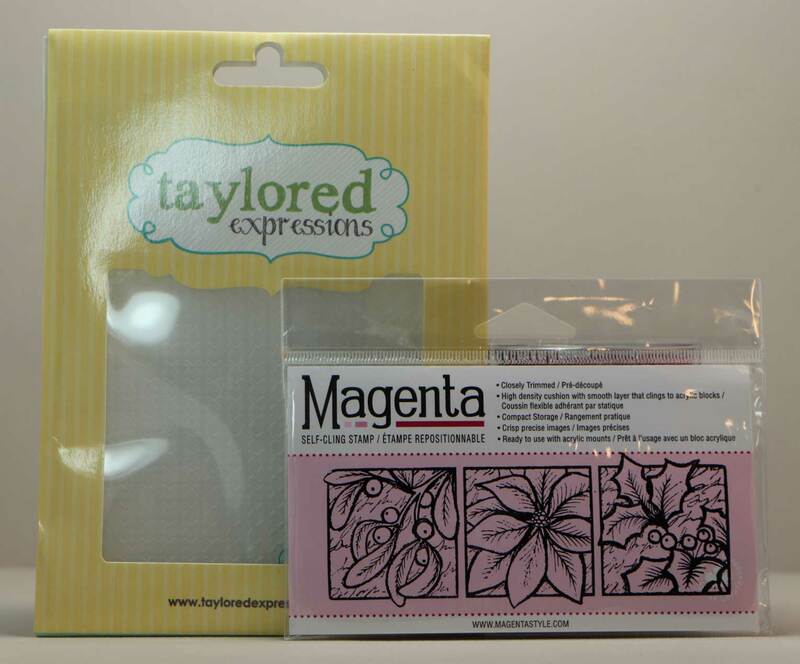 And for one lucky participant in our final prompt of 2018, we've got a little Holiday Prize ... a Taylored Expressions Cross Stitch Embossing Folder and Magenta Floral Holiday Trio Stamp. 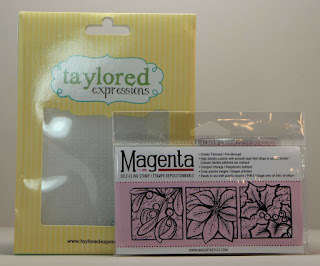 Stephanie says, "I cut into a hoarded piece of Alexandra Renke's German Treats designer paper for this card (and more on my blog). Since the paper is so lovely, I kept the cards simple. Her gingerbread and apples look good enough to eat ... apples always remind me of Christmas, because there was always one in the toe of our stockings." Lauren says, "My favorite holiday treat HAS to be Xmas cookies, especially those cookie press Spritz ones! Alas, I do not bake, but luckily I have adorable Eyelet Outlet Cookie Brads. All of the other bits and bobs are from different sources. 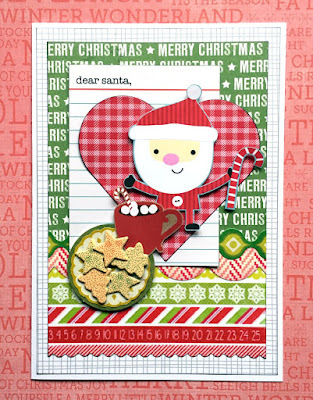 The cocoa and Santa were each part of larger journal cards (American Crafts and Doodlebug, respectively) but since I didn't have stickers the right size, I had to fussycut them. 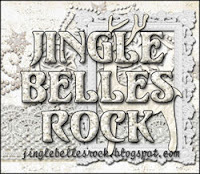 It's exciting to see that Julee Tilman's awesome Mojo Monday sketch challenge is back, fortnightly now, and being held on her personal blog, Poetic Artistry. I absolutely love the current sketch. But ok, yes, I might've got slightly carried away with the scallop border section lol!" Link your food-centric holiday creations right here by 6pm (EST) on Wednesday, November 28th, for a chance at that fun prize! Keyword for galleries and Flickr is JB:18:24. I can hear you now, you know! You're sighing and saying, "Trust Jane to bring us a drunken reindeer when everybody else has made such sweet gingerbread and plum pudding cards!" In my defence, the only other idea I had was too filthy to publish on a blog! Once again a wonderful quartet (both weeks worth) of inspiration and beauty. 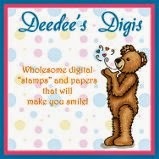 Thank you for the awesome challenge, fun theme, and adorable inspiration cards! 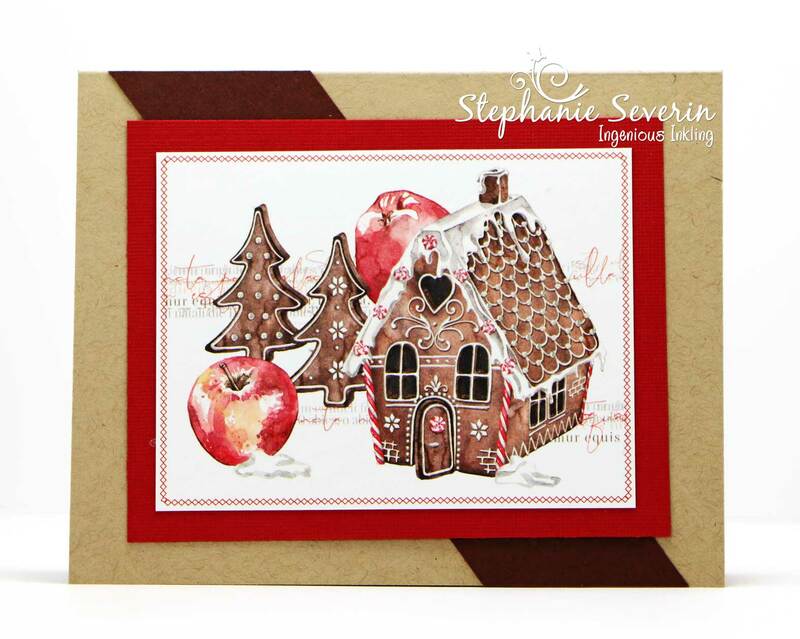 I linked up a few cards - I went with gingerbread as my holiday food - I've been obsessed with gingies this season! Thank you for the inspiration to help me get my cards made! Wishing you a wonderful day!